The word “well-being” has a nice warm ring to it. So much so that the ‘wellbeing budget’ being touted by PM Jacinda Ardern at the rich folks’ club in Davos, Switzerland sounds more like a marketing slogan than an actual policy initiative. Still, it is just as easy to forget that GDP – the common measure of how well an economy is performing – is also a marketing device. Under its initial name of GNP it was created by John Maynard Keynes at the UK Treasury, and adopted by his disciples as a convenient tool of economic management during the postwar rebuild, from Europe to Japan. By the 1970s however, and as issues like environmental sustainability and income inequality began to rear their heads, the flaws in treating GDP as the prime/sole measure of successful economic management also started to become apparent. Diane Coyle, who has since published a book about the history of GDP, discussed the ‘GDP vs wellbeing’ question in this essay in 2014. 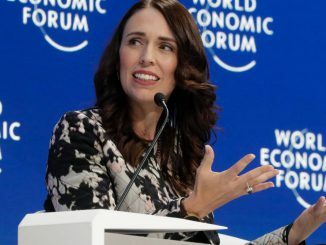 Her essay carried a sub-heading that could have been an Ardern sound-bite from Davos this week: “Measure a country purely against its GDP and you neglect the well-being of its people. Yet can that be measured?” Coyle’s conclusion: yes it can, albeit with some inevitable shortcomings that don’t rule out the value of making the attempt. Environmental sustainability remains central to criticisms of GDP today. The measure ignores the adverse impact of pollution, greenhouse gas emissions, reduced biodiversity, and the depletion of natural resources. And it fails to adjust for the fact that spending on policemen or lawyers is a necessary evil not a positive benefit, or that we spend more time commuting these days, or that the infrastructure of roads and railways is crumbling. GDP-bashers also delight in pointing out that, over time, increasing GDP has not delivered increasing happiness; happiness, as reported in many surveys, has, they claim, risen far, far less. This last point misconstrues the nature of two types of statistic. GDP is an artificial construct, not a natural object, and it can rise without limit. ‘Happiness’ is a state of mind, typically measured by psychologists on a scale of 0 or 1 to 3, or 1 to 10. But, just as the growth of GDP has contributed to longer lives and taller humans, so it has also contributed to making us happier – there’s plenty of evidence that richer people are consistently happier than poorer people. In that sense there’s a positive co-relation. Still, the emphasis on happiness, or ‘positive psychology’, like that on environmental sustainability, raises some important questions about the purpose of economic policy. Exactly. And that is precisely where Ardern is trying to take the debate. One lesson from the past 30 years has been that the fetishizing of GDP as the prime measure of good government has been destructive to social cohesion, to infrastructural planning and to the lives of hundreds of thousands of people. In 2019, we shouldn’t be surprised if people now feel gunshy about the whole concept of “economic efficiency”. In the recent past, too much has been sacrificed on that particular altar. Ultimately, GDP can measure only those things to which the market ascribes a value. GDP largely omits questions of quality, and totally ignores the contributions made by voluntary work. It therefore doesn’t take into account the value of the unpaid work (done largely by women) in the home, or the caring for family members – which again, is work carried out almost entirely by women. As Coyle says, we may have some misgivings about whether governments should be in the business of promoting personal happiness, but they do have a valid role in fostering social wellbeing. Essentially, that’s why our political institutions exist. At present, we don’t know how the “wellbeing budget” that Finance Minister Grant Robertson is due to deliver in May will try to measure the government’s progress in meeting the ‘wellbeing’ goals it has in mind. Personally though, I’d welcome any attempt to move the national debate away from the focus on strictly economic indicators. Over the course of the past 30 years, economic markers have become fetishized as ends in themselves. Budgets must be balanced, regardless of the social cost or the deterioration in services and social infrastructure this entails! Similarly in the 1990s, the RBNZ used to hike interest rates (to curb inflation) without paying much heed to the damage this did to innovation, jobs and community wellbeing. Such matters were not in its wheelhouse. For the economic survivalists of course, this was all very bracing and ideologically satisfying, provided that other people were the ones feeling the pain. Corporate New Zealand still seems full of people who think along such lines. They demand economic certainty for their own operations, and toughlove for everyone else. The most important trade-off to measure, and report to citizens, is that between the present and the future; in other words, sustainability. No adjustments to GDP will ever capture this crucial factor… by contrast, assessing sustainability depends on the depletion or accumulation of assets. And the statistics needed to do that – for environmental assets as well as physical ones such as bridges or the housing stock – although collected in today’s national accounts, are never reported in the headline-grabbing way that will re-orient government policy. Footnote: At heart, the “wellbeing budget” message is about the purpose of government. Its shifts in emphasis won’t change how wealth is generates, but it will dictate how (and where) resources are allocated. At Davos though, rather more attention has been paid to the proposal by US Congresswoman Alexandra Ocasio-Cortez to raise the highest tax rate (ie on the stream of income above $10 million) to 70%. That proposal – which Werewolf will cover in depth next week – will play a greater role in the near future, according to hedge fund giant Ray Dalio of Bridgewater Associates. Just to be clear: Ocasio-Cortez isn’t advocating a “soak the rich” policy. Moreover, Fox News (and some Republican politicians) don’t seem to realise that a top tax rate of 70% doesn’t mean that all the income of the high earning individuals affected would be taxed at 70%. Only that slice of their annual income above $10 million would be. Meaning: there is absolutely nothing that’s weird or draconian about what Ocasio-Cortez is advocating on tax. Like Leonard Cohen, Lana Del Rey started out by making archly stylized use of the repository of cultural icons. The Poet and the Screen Goddess have always had a lot in common, besides an undercurrent of mordant wit and a tendency to depression. Both of them progressed into writing songs of direct social commentary and startling intimacy. To make the connection quite explicit, Del Rey released a track a few months ago called “Mariners Apartment Complex” track that made ironic use of the “I’m Your Man” line… There is still a pose involved, but the music feels more immediate.